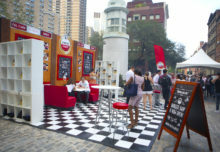 L.A.-based customers could order a pizza from Manhattan’s Patsy’s Pizzeria through a microsite. 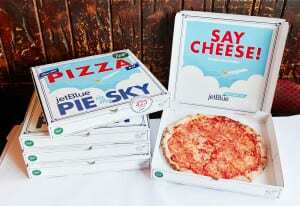 To highlight its transcontinental routes in an unconventional way—a delicious one, one might argue—JetBlue took its “New York’s Hometown Airline” tagline to new heights by making deliveries of authentic, New York-style pizza via transcon flights from New York City’s John F. Kennedy Airport to LAX. The promotion, dubbed “Pie in the Sky,” came as JetBlue announced it would add more flights to regional airports in Ontario, CA, and Burbank, CA. 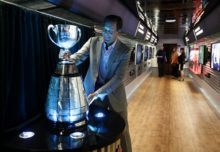 The program, which took place May 9-11, allowed L.A.-based customers to order a pizza from Manhattan’s Patsy’s Pizzeria through the campaign microsite, jetblue.pizza, where they entered their information (eligible addresses within proximity to a final preparation facility in L.A.). After placing their order, they could track their pizza as it made its way across the country. They had two options: a plain cheese ($12) or pepperoni ($15). Pizza-ordering was first come, first served, with a limit of 350 pizzas per day. 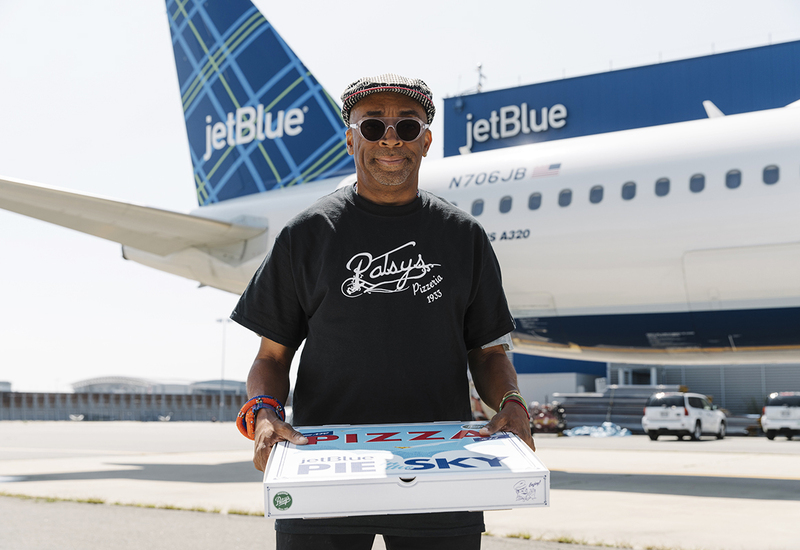 Helping to drive buzz for the program was director and New Yorker Spike Lee, a JetBlue celebrity influencer, who helped JetBlue select a pizza joint for the campaign and shot a promo video to explain to West Coasters how to eat New York-style pizza (hint: by folding it). The hot results: The campaign earned more than 567 million p.r. 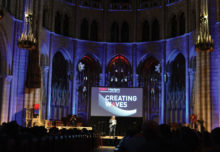 impressions by the end of May, in addition to 6,000-plus social shares, including posts by celebrities Chrissy Teigan, Maria Menounos and Sofia Richie; and JetBlue’s microsite recorded 105,000 visits over the three days. The total pizza mileage: 7,500. And as for L.A.’s preference on pizza: 60 percent of all orders were pepperoni, and 40 percent were cheese. Mmmm. Agency: MullenLowe, New York City.